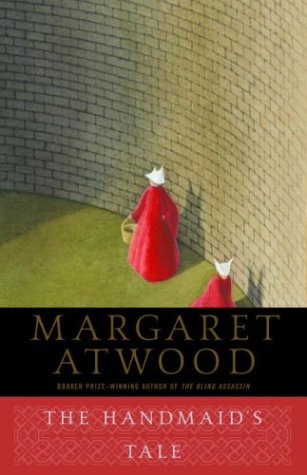 A Pennsylvania school board, which last month voted to ban Margaret Atwood’s The Handmaid’s Tale as a high school summer reading book, has reversed that decision at its subsequent meeting, the National Coalition Against Censorship has learned. As in so many other school districts this summer, the Ringgold school board initially failed to follow its own policy for dealing with challenged books — but in this case several board members felt immediate remorse and rectified their mistake as soon as possible. The issue of The Handmaid’s Tale first arose at a school board meeting on July 23, when local resident Colleen Tolliver challenged it on behalf of her niece, a Ringgold High School senior who was assigned to read the book over the summer. Tolliver said that her sister, the student’s mother, had already requested and received an alternate assignment, Charles Dickens’ Great Expectations, for her daughter to read. But Tolliver was concerned that the majority of the students who read The Handmaid’s Tale would still be discussing it in class, and asked that the school board instead “limit the impact of this book to a written book review by those who have read it, in lieu of nine weeks of class discussion.” She also asked that the book be removed from the curriculum in future, claiming that there are “far more appropriate and relevant choices” like the also frequently challenged 1984, Animal Farm, and Fahrenheit 451. Immediately after the July meeting, however, some members began to feel twinges of regret. Board President Mariann Bulko admitted that “we were taken by surprise” by Tolliver and/or district administration. Even Kennedy apologized to Baertsch for the Penthouse comment, saying that “my emotions got the best of me.” Bulko pledged that the vote to ban the book would be “rectified” at the subsequent board meeting. That meeting happened this past Tuesday, and apparently Bulko made good on her word. Although it has not been reported in the press, the National Coalition Against Censorship has received word that the board revisited its vote, and students who wish to finish reading The Handmaid’s Tale for class may now do so. Other students may select Great Expectations instead. Additionally, after this year, students will select their summer reading assignment from a list of five books rather than the current arrangement of one main book and one alternate. While the Ringgold school board initially fumbled its response to this challenge, Bulko and other members deserve credit for at least admitting that they were wrong and taking steps to repair their overly hasty action. We hope that this incident has shown them the value of observing district procedure for any and all future book challenges! The NCAC’s Kids’ Right to Read Project, of which CBLDF is a member, also sent the board a letter reminding them of students’ free speech rights and the important issues at stake. Read it here: The Handmaid’s Tale by Margaret Atwood.